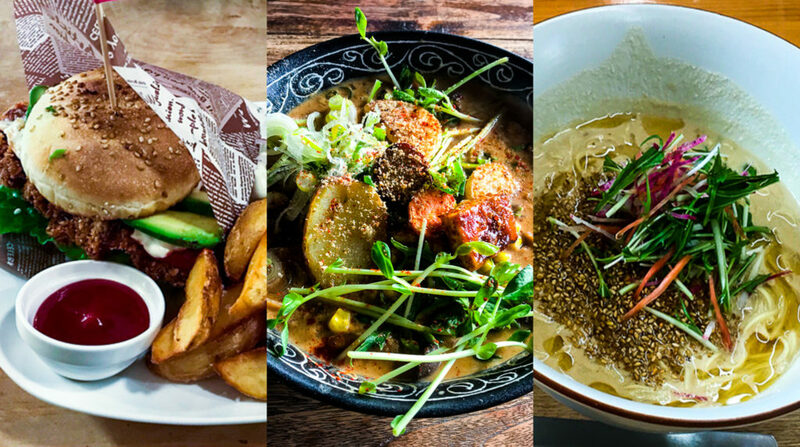 Just a small selection of what’s available in one of Japan’s most vegan-friendly cities! As one of the best places in Japan to enjoy shojin ryori (traditional Buddhist vegetarian cuisine), it’s no surprise that finding vegan food in Kyoto, Japan’s ancient capital, isn’t too much of a challenge. 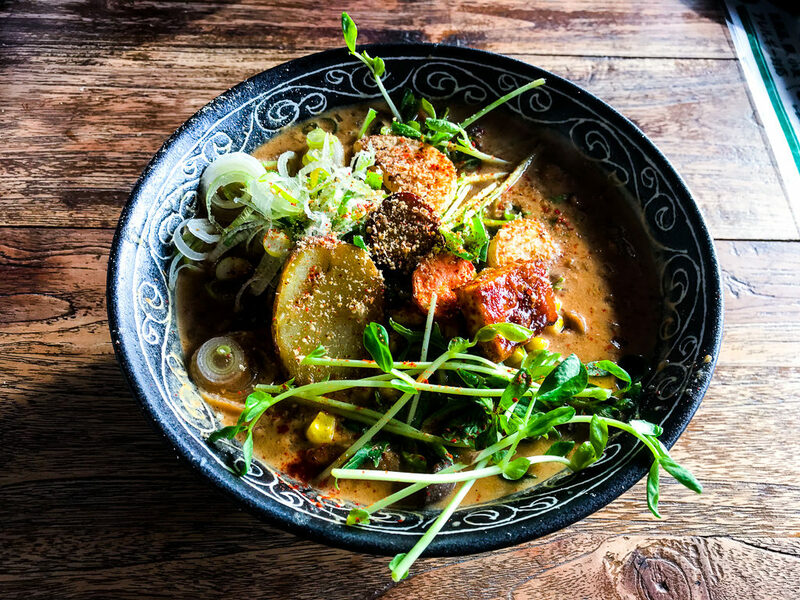 And it’s not just temple food — there are a huge number of vegetarian and vegan restaurants in the city offering plant-based menus that are modern, varied and delicious. Here are four GaijinPot favorites. 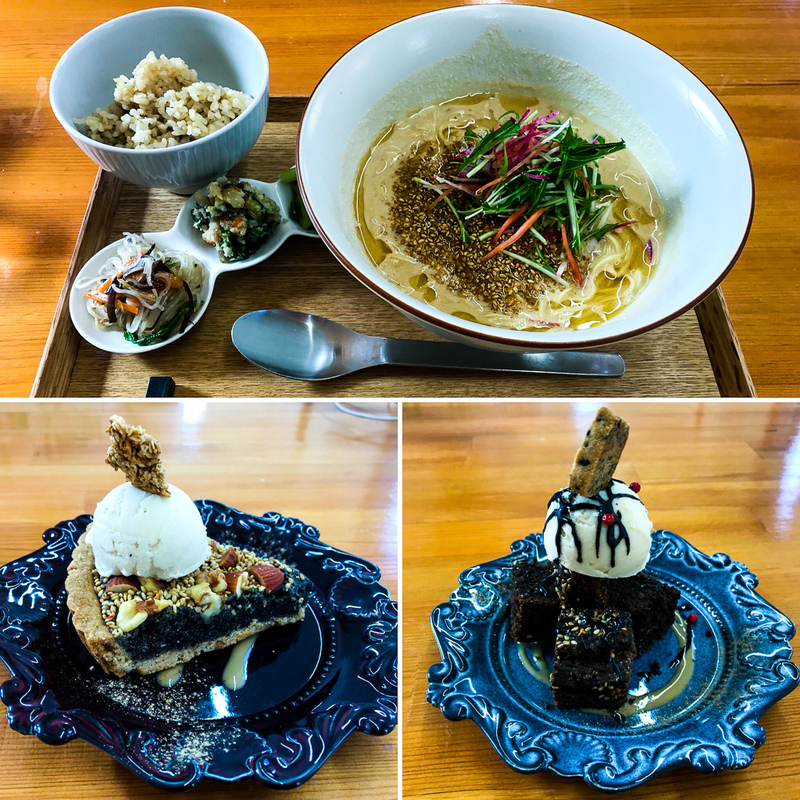 If you’re looking for an upmarket vegan restaurant, Choice is an excellent, well… choice! 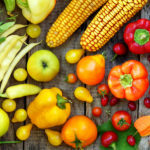 It was set up by a doctor who wanted to offer healthy plant-based food that would satisfy vegans, vegetarians and omnivores alike. All the food is organic and vegan, and most of it is also gluten free. It’s a little on the pricey side, but each dish is made with top-quality ingredients and beautifully presented. The restaurant specializes in vegan cheese, which they make on site. It offers an amazing range of flavors, including smoked, rum raisin, and chlorella and cranberry. It’s easily some of the best vegan cheese I’ve tried, so if you’re a fan of pressed milk curd (without the milk curd) you might want to consider trying one of the plate assortments (¥1,200 to ¥1,800) or splashing out on the fondue (¥2,000). That’s right, the restaurant has vegan fondue! For dessert, make sure you try some of the thick and super fluffy pancakes — you can choose between plain, fruit, chocolate or rum raisin (¥1,400 to ¥1,600). At Gomacro Salon pretty much everything on the menu is made using some form of sesame. At Gomacro, goma (sesame) is the name of the game. Pretty much everything on the restaurant’s menu — from the main courses all the way down to the drinks and desserts — is made using some form of sesame. 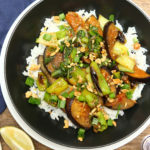 This gives the food a really distinctive and full-bodied flavor. All the dishes are vegan, with the exception of a couple of dressings used on the side dishes that contain honey. (These change seasonally, so ask your server for details.) The restaurant focuses on providing healthy, seasonal food, so they also refrain from using white sugar and chemical additives. Gomacro offers four lunch sets: a macrobiotic vegetable plate (¥1,850), seasonal noodles (¥1,200), white curry and a veggie burger (both ¥1,350). Each of these can be ordered with tea or coffee and a mini dessert included in the meal. I can highly recommend the noodles — they’re made with soy milk, sesame paste and miso, which creates a deliciously rich and creamy sauce. For dessert, you again have four gluten-free options: sesame chocolate cake, sesame and nut tart, sesame ice cream or sesame brûlée (¥500-700). If you’re struggling to make up your mind, go for the assorted dessert plate (¥1,350) to get a little taste of everything (apart from the brûlée). Opening hours: Lunch 11:30 a.m.-3 p.m. (LO 2 p.m.); Café 3-7 p.m. (LO 6 p.m.). Closed on Mondays. Morpho’s portion sizes are generous, but you’re definitely going to want to save room for dessert. Morpho Café is a casual and friendly establishment in the north of Kyoto City. It’s close to Kyoto Imperial Palace and Nijo Castle, so makes a good lunch spot if you’re doing some sightseeing in this part of the city. 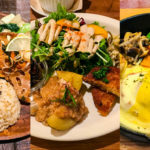 The menu is 100 percent vegan and offers a varied range of reasonably-priced dishes including pizzas, curry noodles, pasta, burgers, taco rice and ramen (all between ¥850 to ¥950). If you’re looking for something to satisfy your junk food cravings without it being too salty or oily, the faux fish burger and chips (¥900) is a great choice. The red curry noodles (¥950) have a nice kick to them without overshadowing the flavor – perfect on a cold day! Morpho’s portion sizes are generous, but you’re definitely going to want to save room for dessert. The parfait (¥800) looks great and tastes just as good, packed with soy ice cream, fruit and pieces of moist vegan chocolate cake. If you’re after a more substantial dessert, then try the banana and caramel pizza (¥850) — it’s warm, chewy and the bread base balances out the caramel topping well, preventing the dish from being overly sweet. They also serve a range of drinks, including a rich, thick hot chocolate (¥650) which is one of the best non-dairy versions I’ve ever had. Opening hours: Lunch noon-2:30 p.m.; Dinner 5-8:30 p.m. Closed on Tuesdays. Vegans Café and Restaurant is tucked away in the south of Kyoto City. The food alone makes it worth the trip, but it also ties in nicely with a visit to the nearby Fushimi Inari shrine. The owner used to run a barbecue restaurant, before going vegan and deciding to open a plant-based eatery instead. It has a varied menu of generously-sized meals including ramen, three different types of casserole, pizzas, pita bread sandwiches and curry. The most popular dish is the charcoal-grilled deep fried tofu rice bowl (¥1,080). Unfortunately, it was sold out on my visit, but the pictures do look amazing! The soy milk and miso ramen (¥1,728) was an excellent substitute, though, packed as it was with tofu, vegetables and noodles all served in a warm, rich broth. 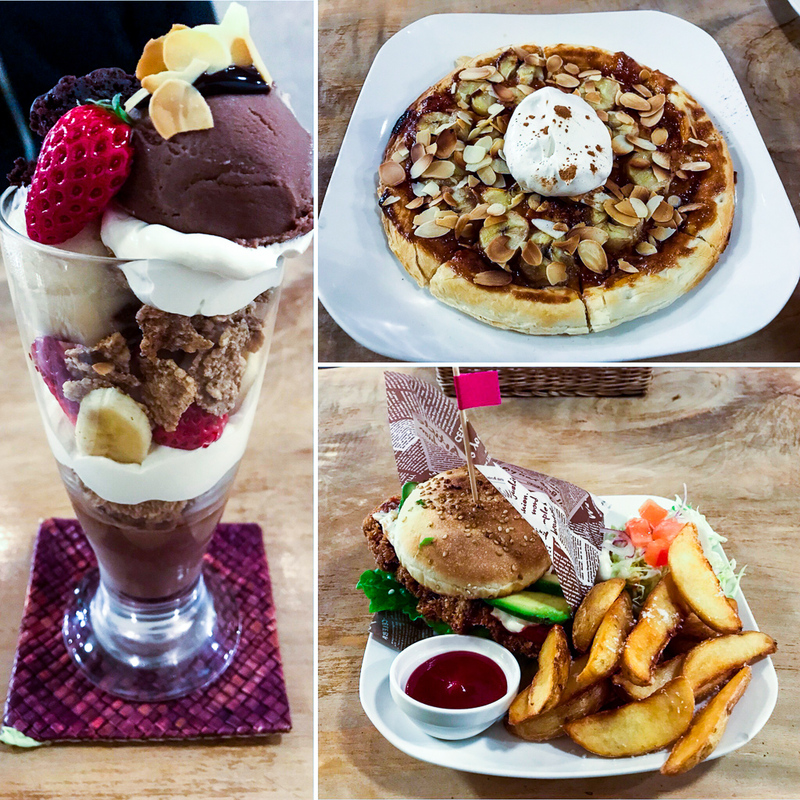 For dessert, the restaurant offers a daily cake and muffin, plus several flavors of ice cream shakes. However, the real showstopper is the parfait (¥1,296). It comes with fruit, generous chunks of muffin, cute little cookies and your choice of sauce, all served on top of a tower of homemade, soft-serve soy milk ice cream. 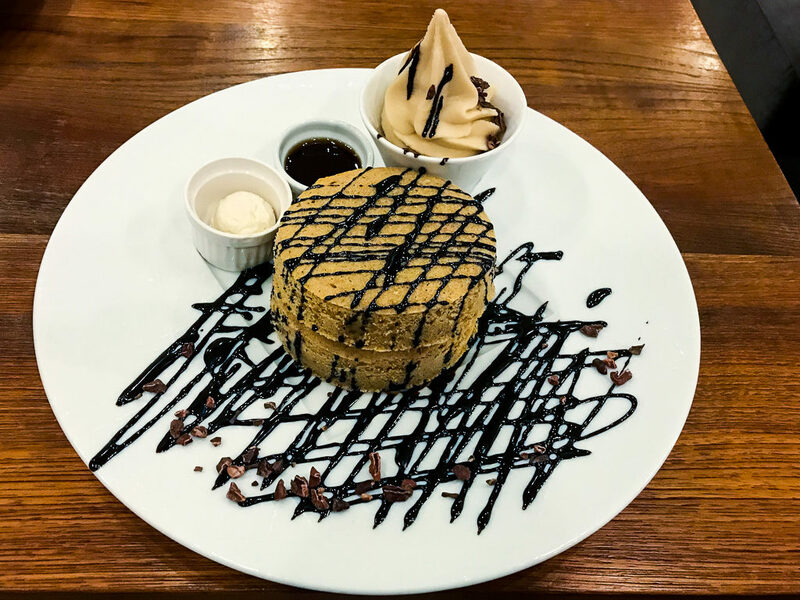 It’s visually impressive and tastes indistinguishable from a non-vegan parfait – definitely not to be missed! Opening hours: Monday, Tuesday, Friday and Sunday 11:30 a.m.-5 p.m. (LO 4:30 p.m.). Saturday 11:30 a.m.-9 p.m. (LO 8:30 p.m.). Closed on Wednesdays. If you’re interested to try out some other veg-friendly dining spots in Japan’s ancient capital, here are a few that were on our list but we haven’t made it to — yet! Little-Heaven, an upmarket vegan restaurant serving set menus (map). Ukishima Garden offers a contemporary take on traditional shojin ryori (map). Ain Soph Journey is a modern vegan restaurant with a wide range of dishes (map). Itadakizen, a vegan restaurant serving traditional Japanese cuisine (map). Veg Out is a riverside café with a range of Western-style dishes (map). Sunny Place (Japanese), casual vegan café offering both Japanese and Western meals (map). Sujata, vegan restaurant serving Indian and Japanese food (map). Organic House Salute (Japanese) a vegan café that serves Japanese cuisine (map). These barely scratch the surface of what’s available for vegans in Kyoto. It’s easily the most veg-friendly city in Japan outside of Tokyo, so get out there and explore what it has to offer! What other recommendations do you have for vegetarian or vegan travelers in Kyoto? Let us know in the comments! 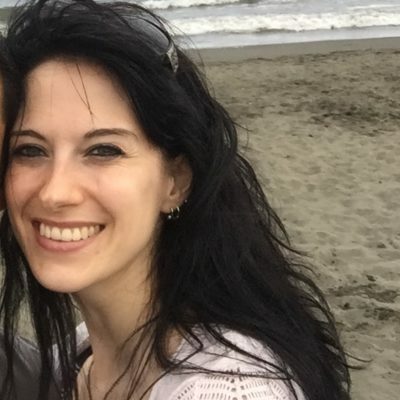 Kansai-based British writer with a love of cats, Japan and all things "kawaii." Planning a trip to Kobe? Don’t miss these three vegan-friendly restaurants. From Tokyo to Okinawa (sorry Hokkaido! ), vegan food festivals are popping up all over Japan. An unofficial guide from a (self-professed) vegan gourmet and author.